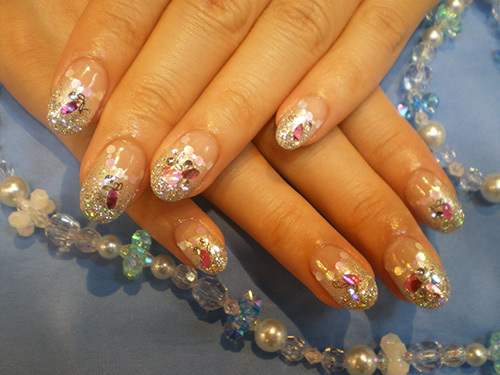 Price exclusive of tax indication. 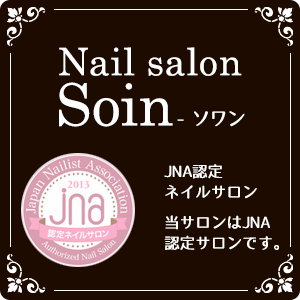 These are reasonable course menu for nail care. 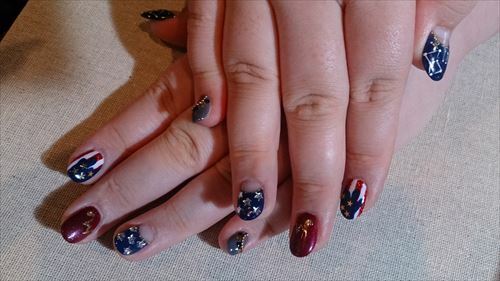 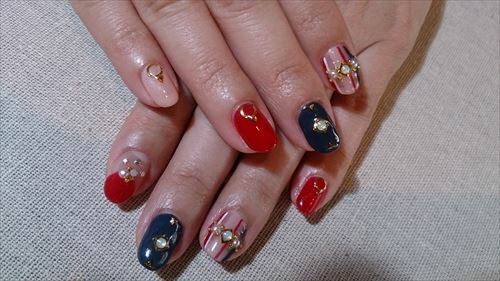 Please choose from below, depending by the nail condition. 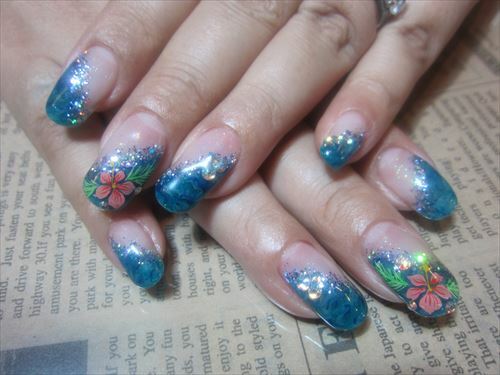 Show all price will be tax price. 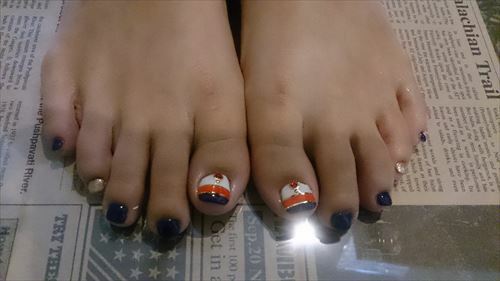 The courses including pedicure requires timefor it to settle. 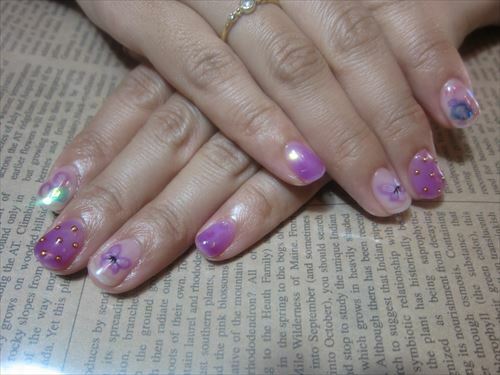 ※the massage included in this course would be a special massage. 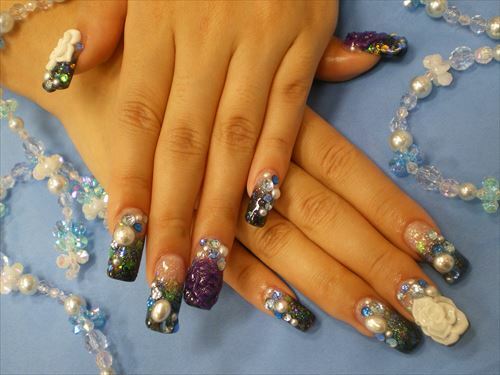 These are course menu for a gentleman. 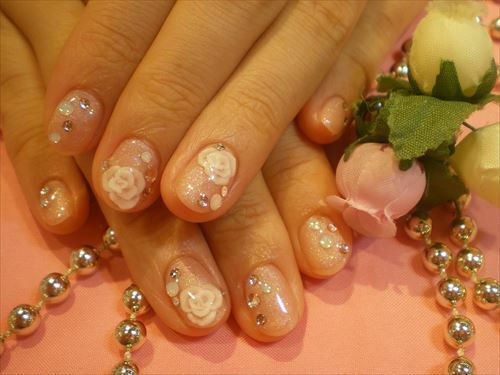 Includes nail care and transparent nail coating. 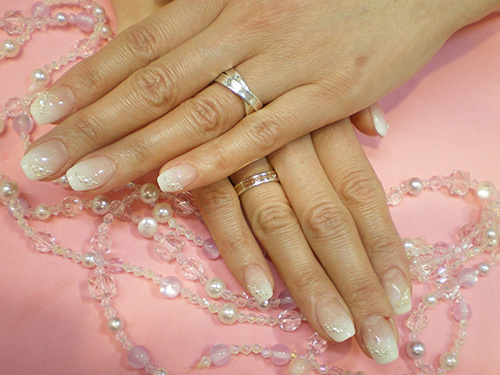 Nail filing, cuticle care, polishing and massage. 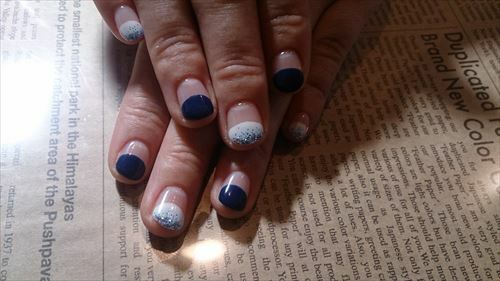 nail filing, cuticle care, SHELLAC clear coating and massage. 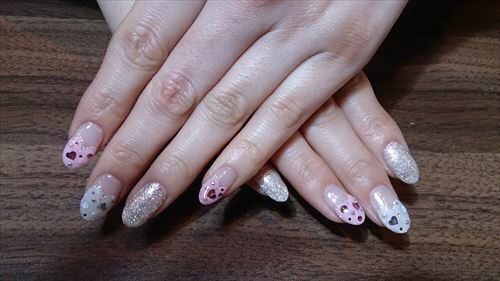 nail filing, cuticle care, GEL clear coating and massage. 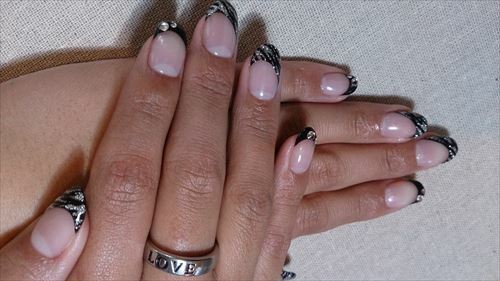 Gel coating is like a covering your nail with an artificial nail. 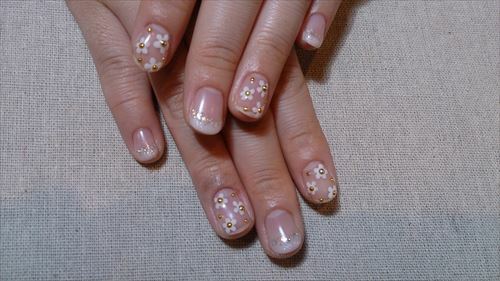 It can not extend your nail length but it feels light and goes well with manicure or pedicure. 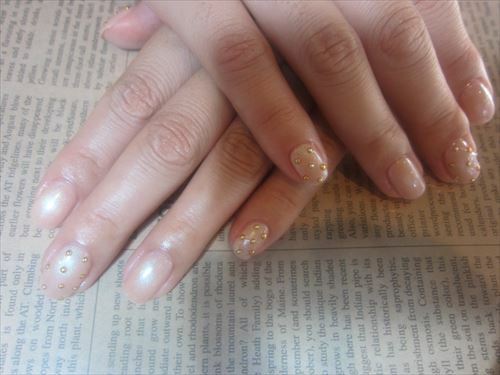 Also GEL coating does not require time for drying and it maybe convenient pedicure. 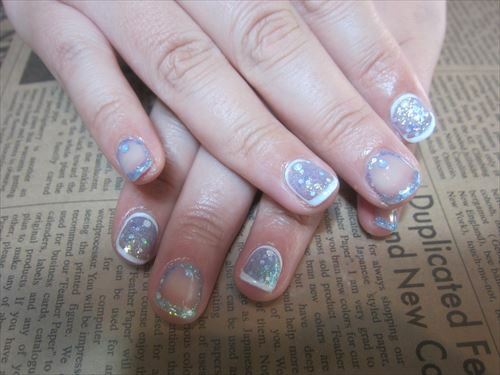 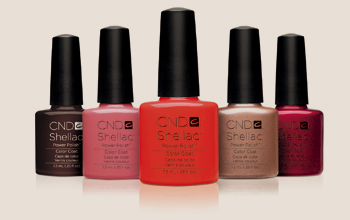 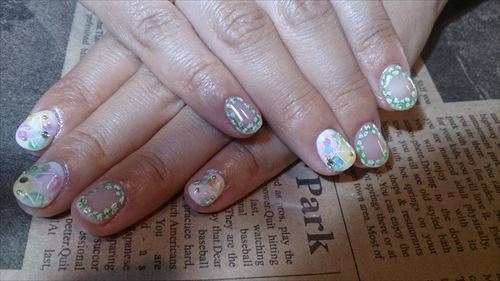 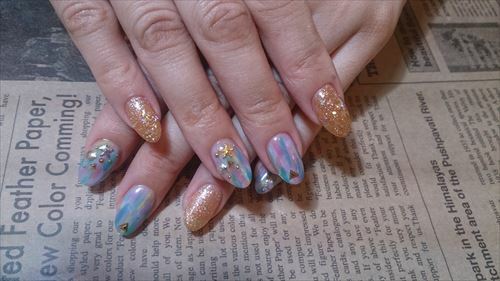 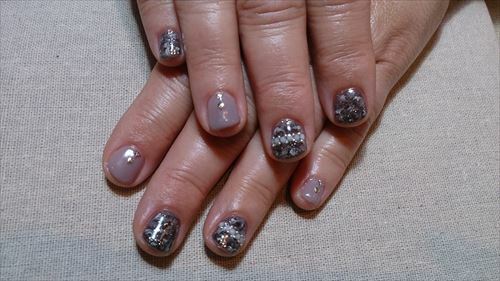 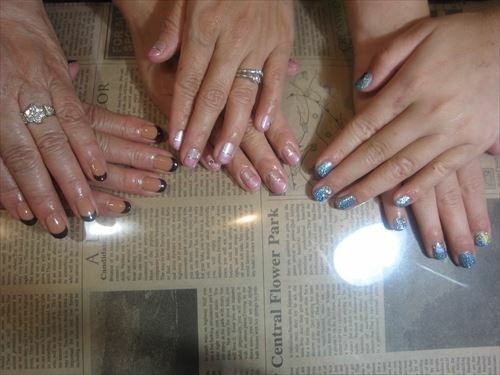 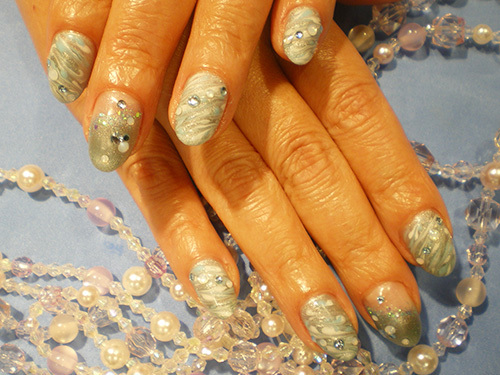 gradation, french, hologram and marble etc..
Shellac power polish consists of good part of manicure and GEL coating. 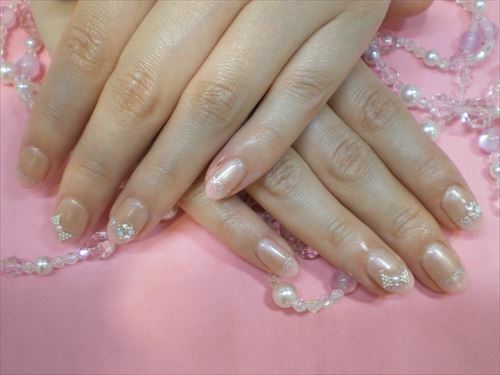 It is ultra light, fast application time and no damage to your own nails. 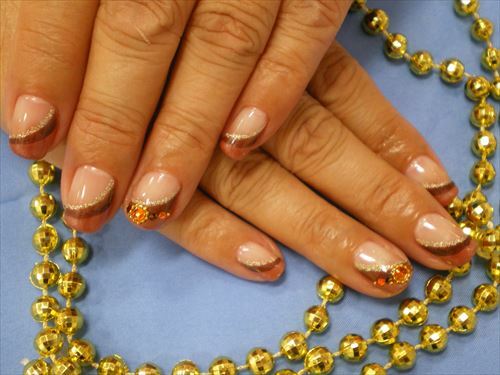 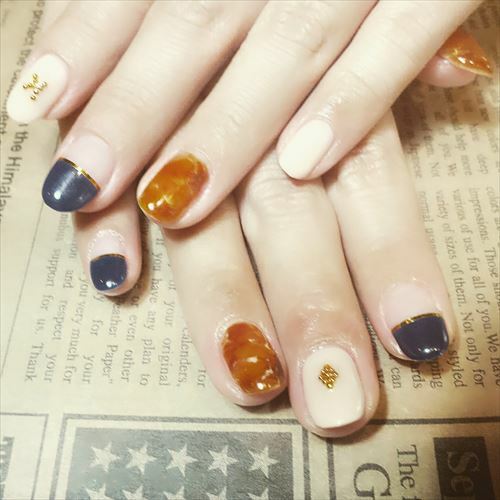 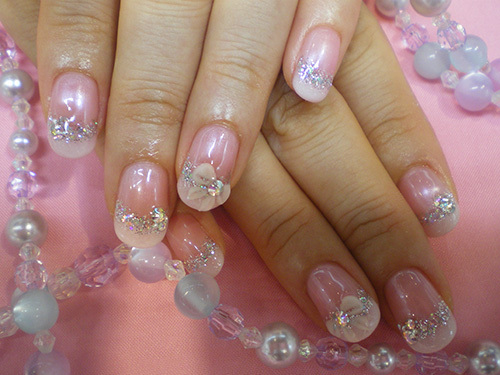 Its popular to Hollywood celebrities and natural nail lovers. 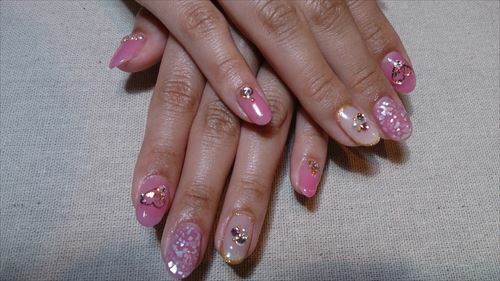 nail polishing included.10 finger course include massage. 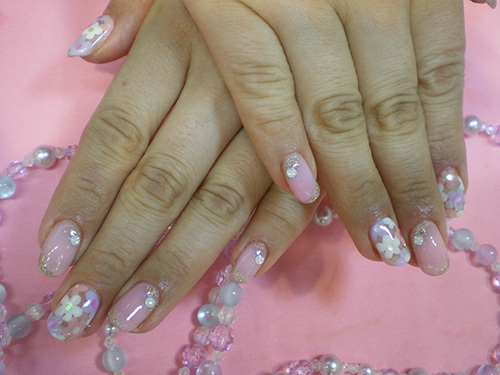 Extension sculpture uses acrylic material and it could be freely shaped to your request. 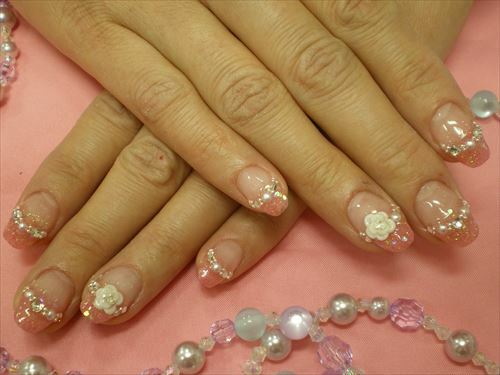 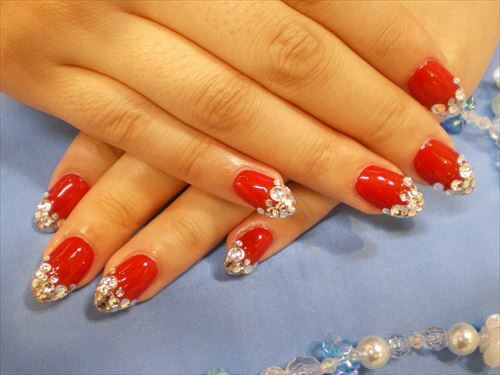 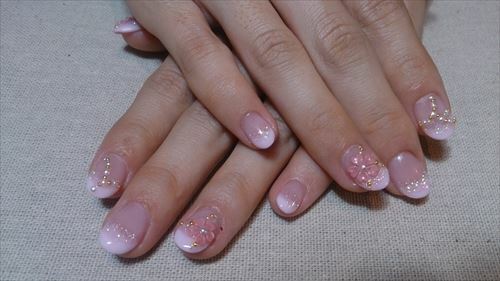 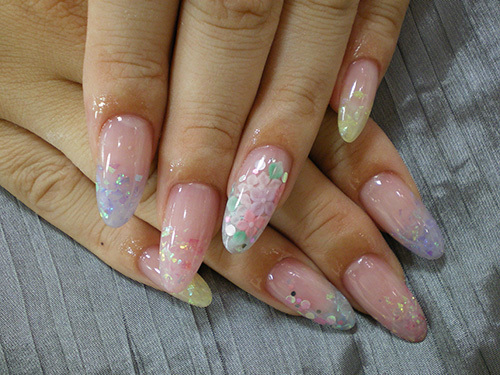 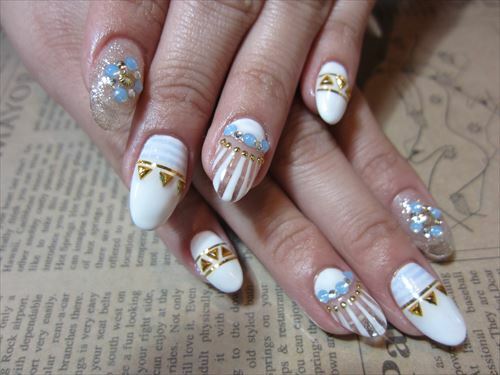 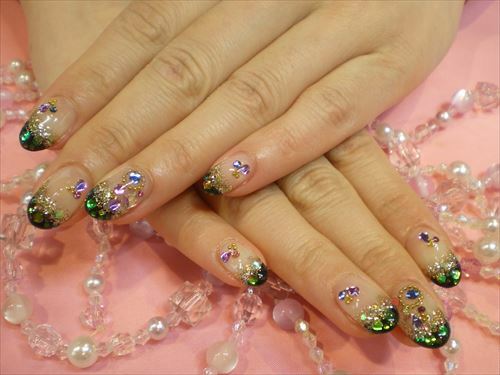 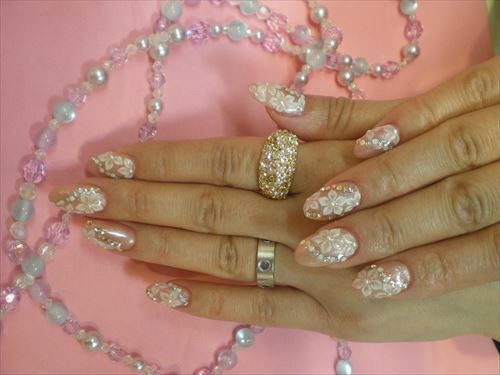 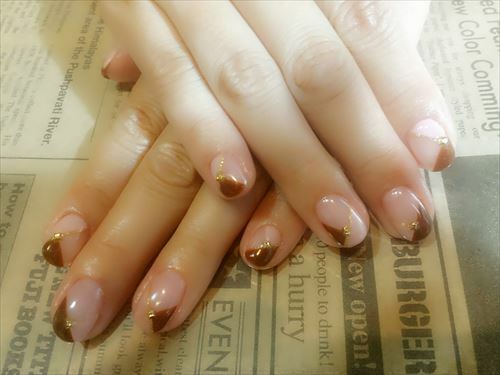 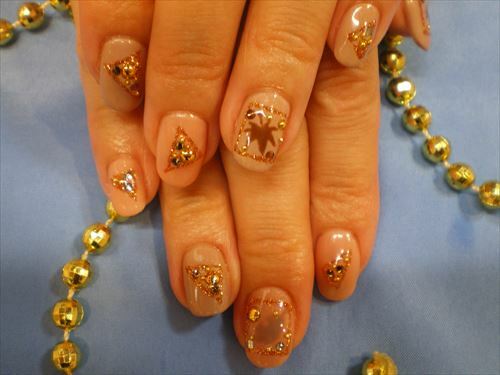 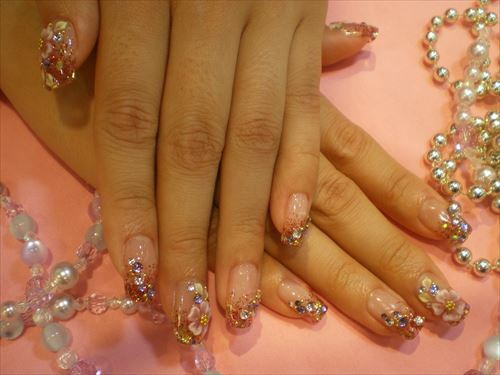 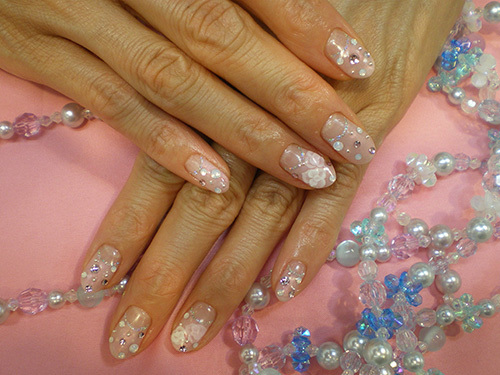 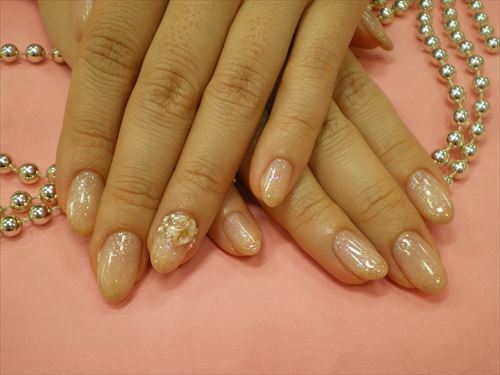 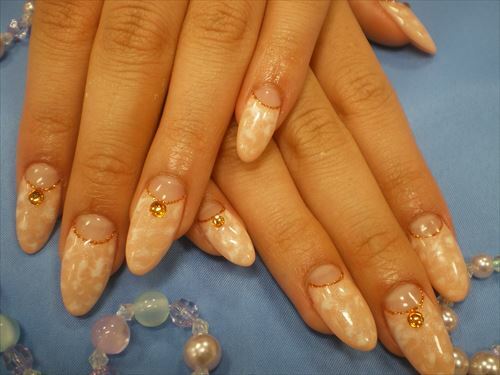 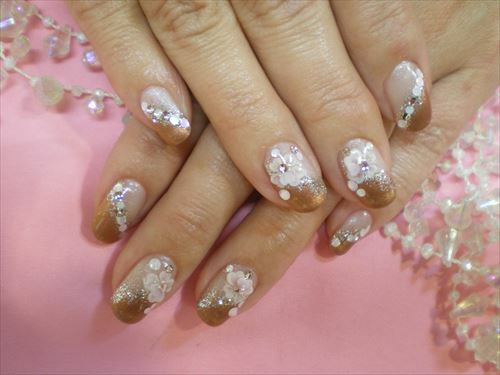 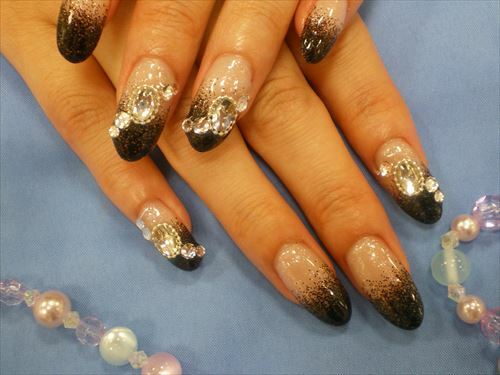 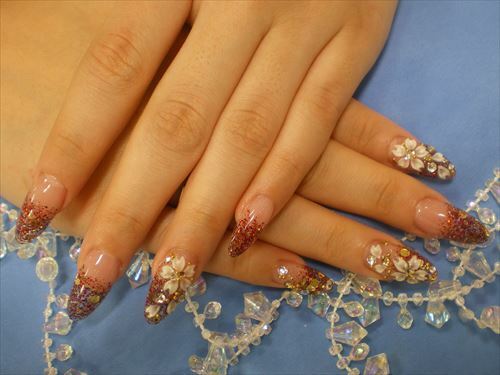 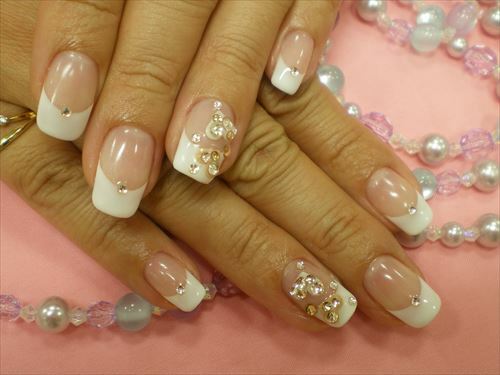 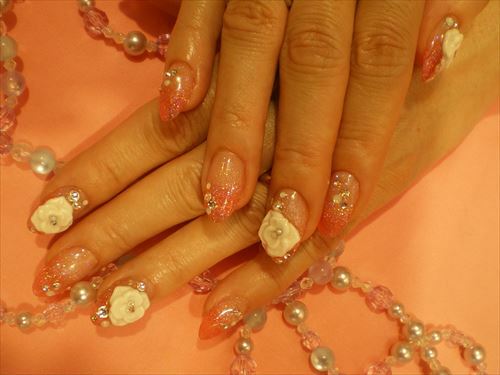 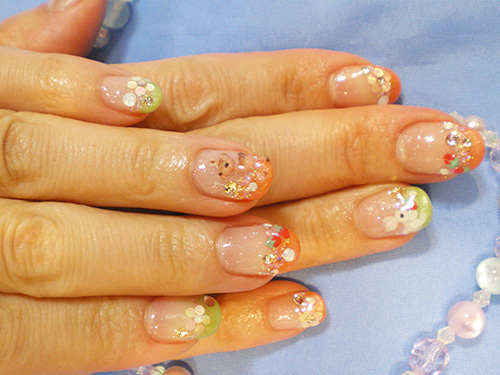 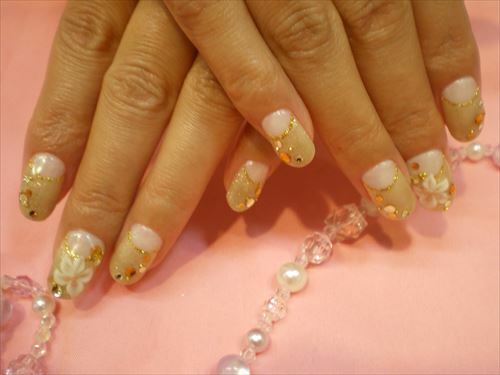 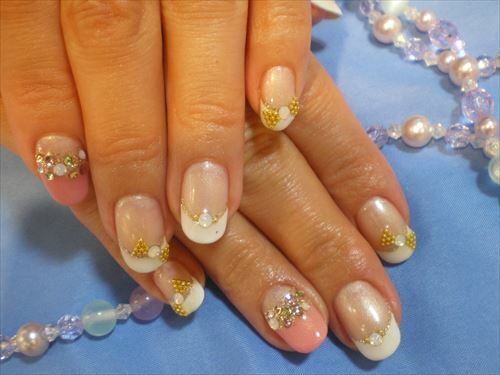 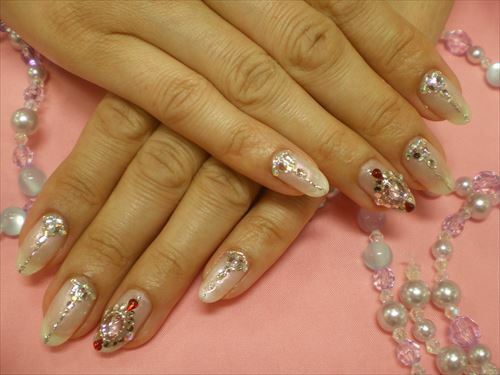 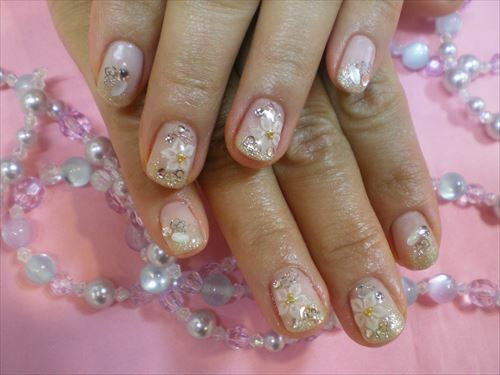 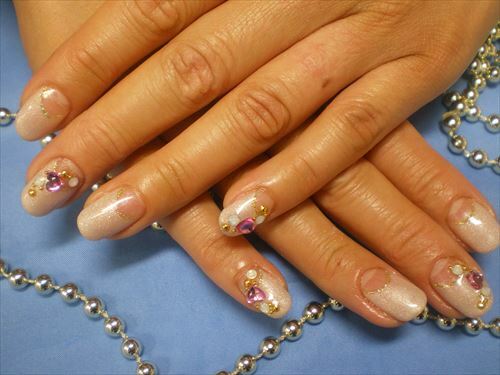 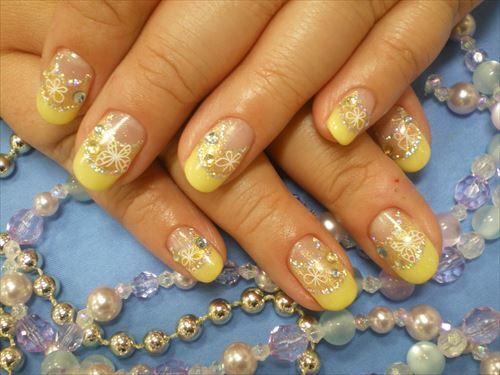 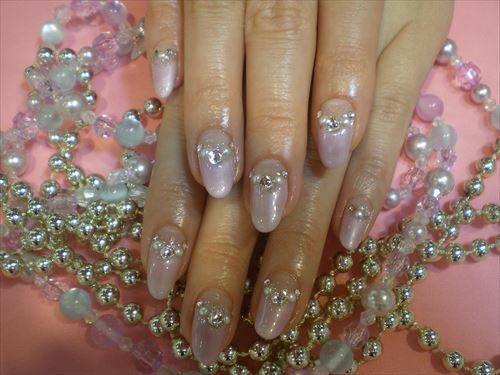 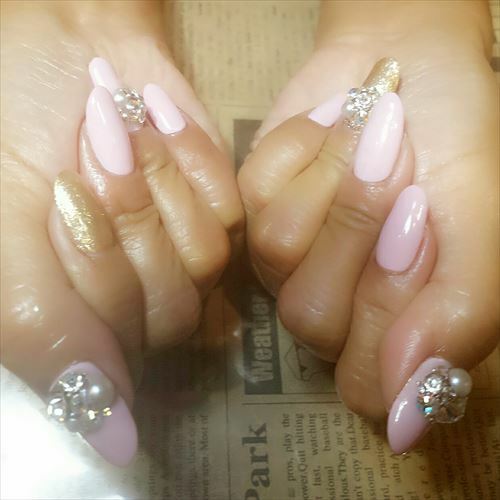 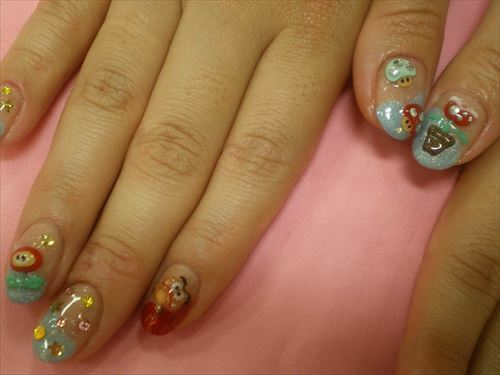 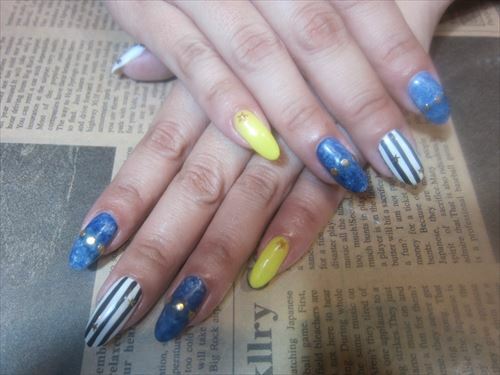 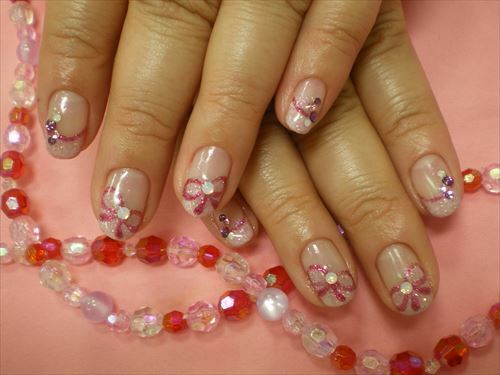 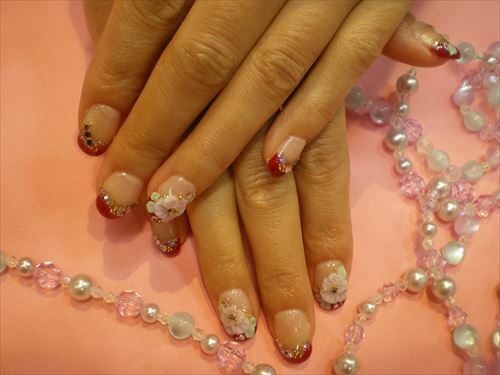 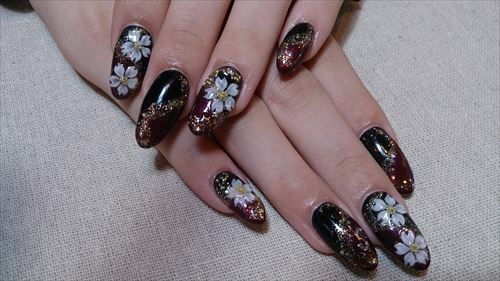 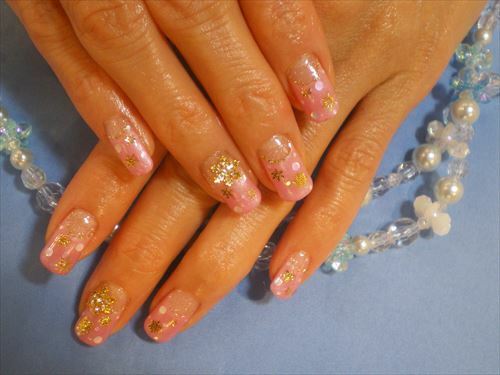 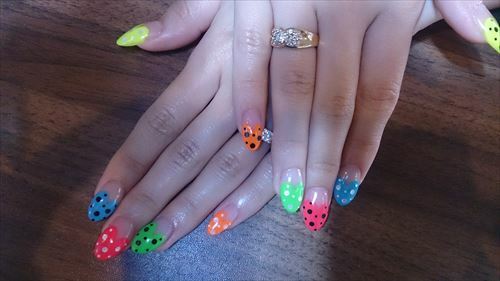 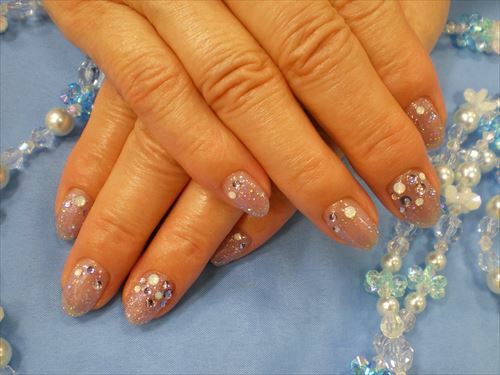 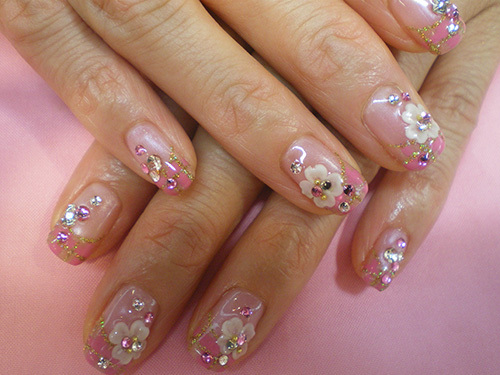 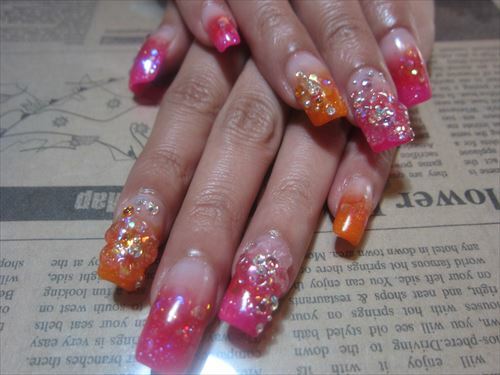 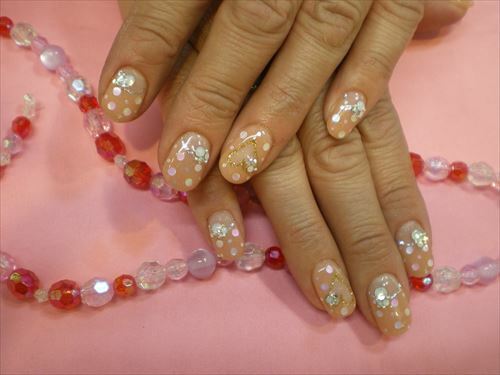 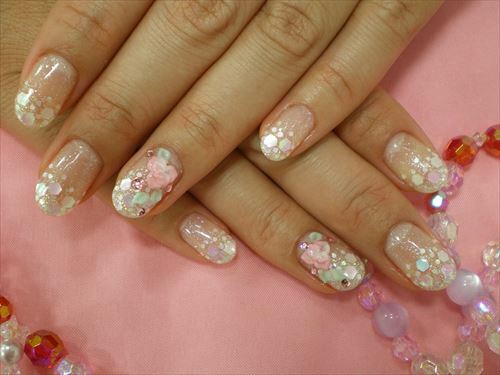 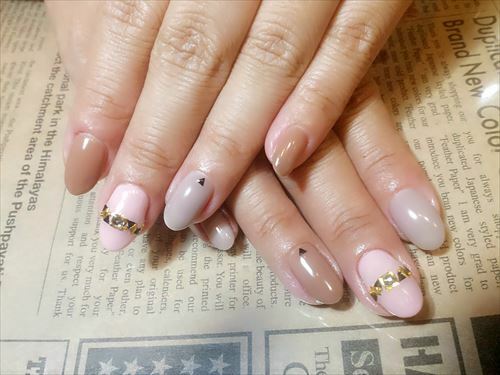 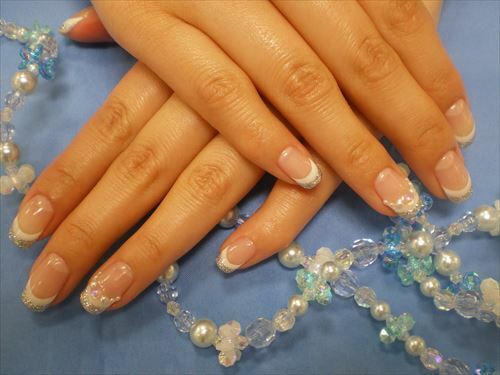 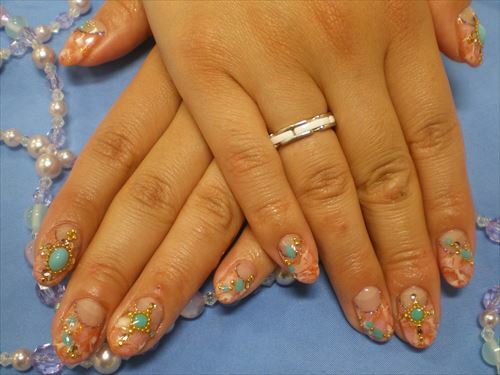 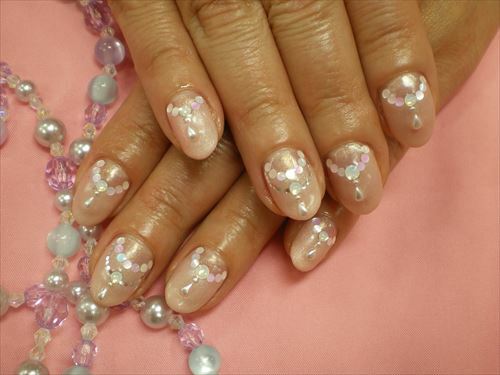 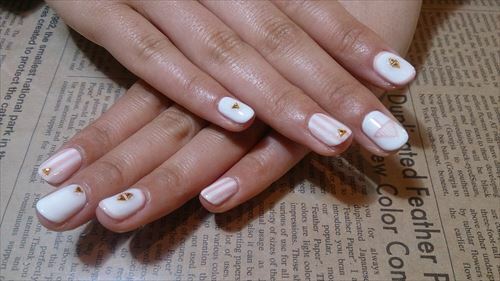 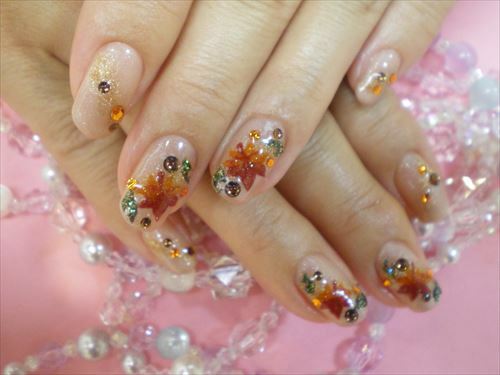 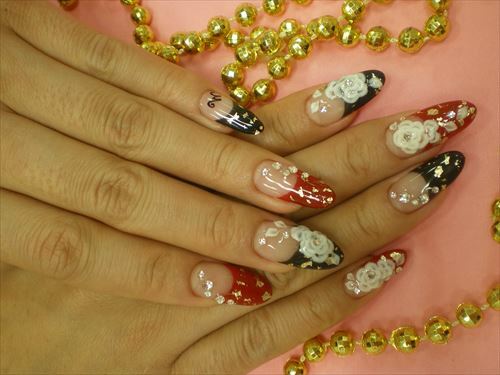 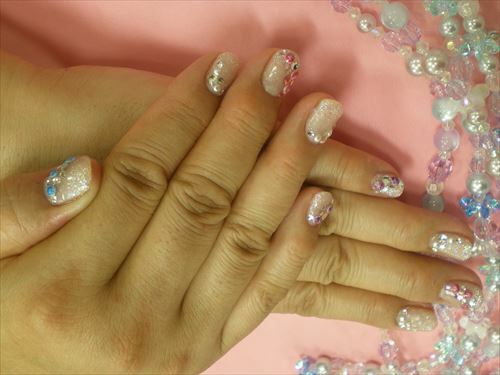 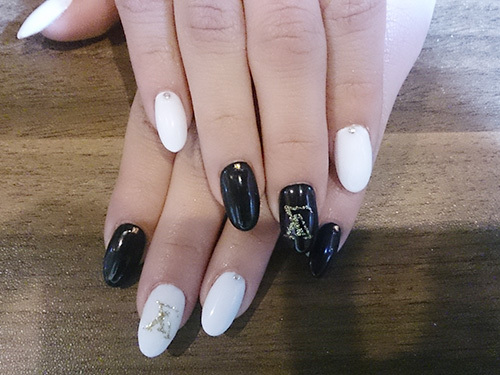 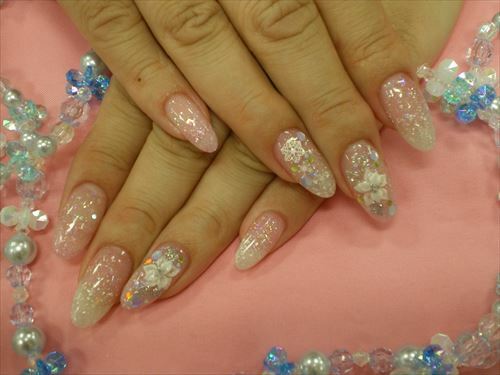 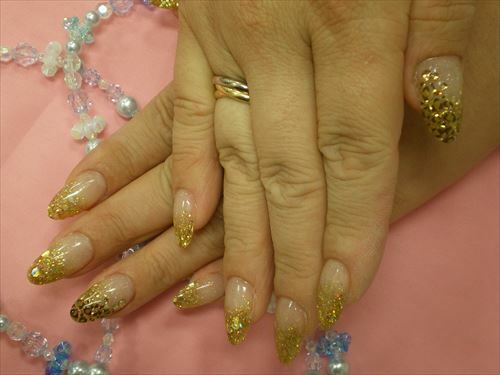 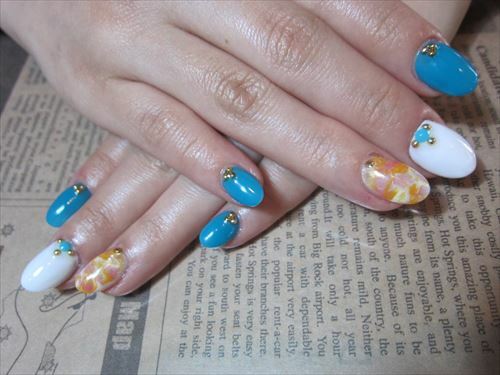 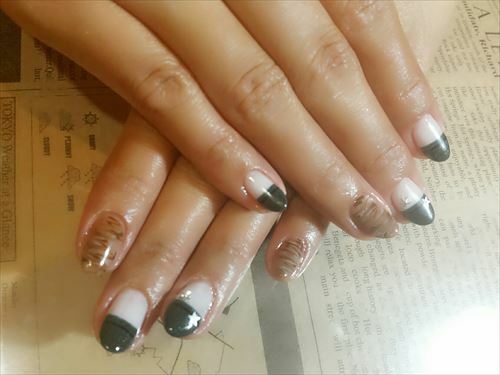 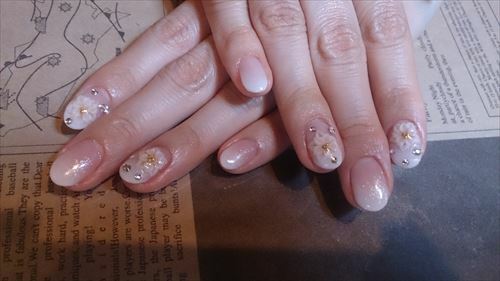 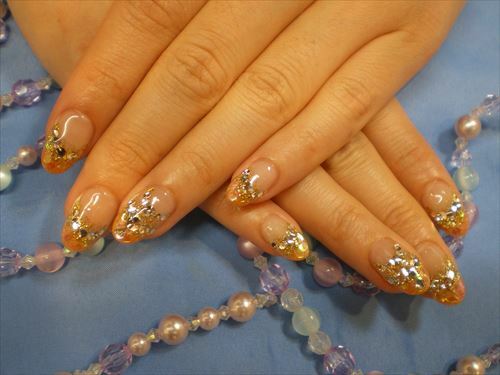 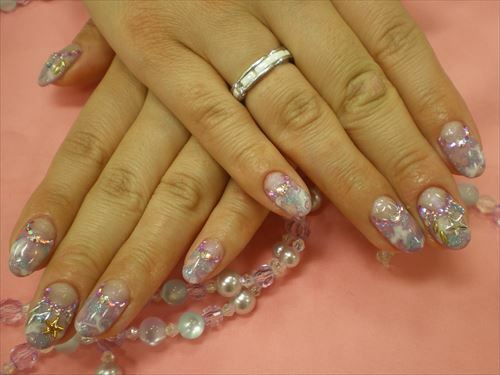 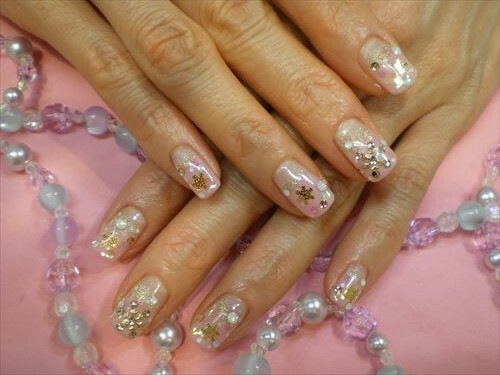 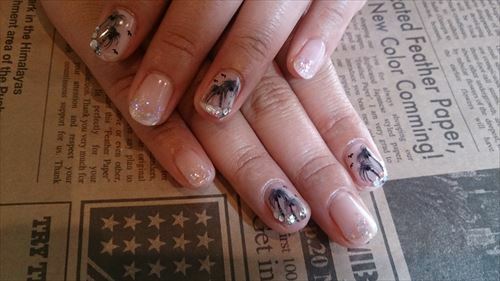 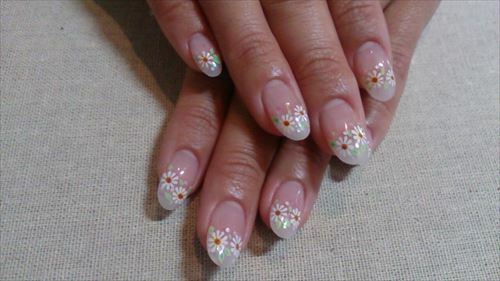 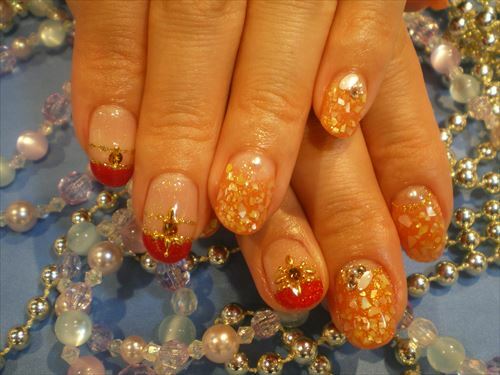 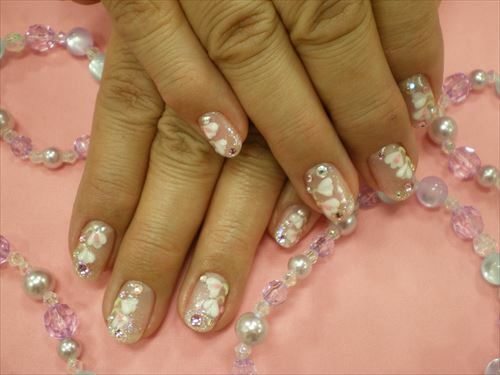 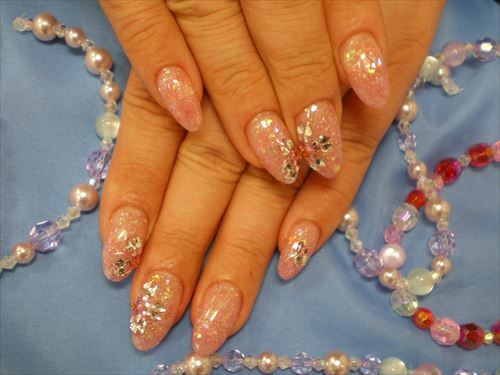 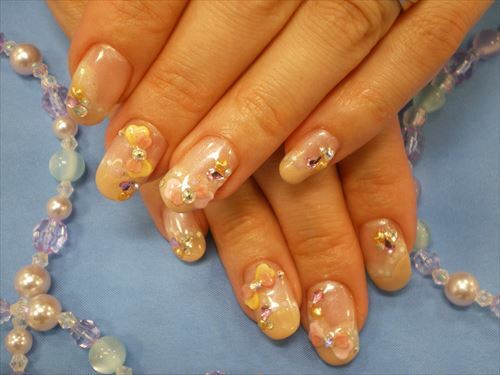 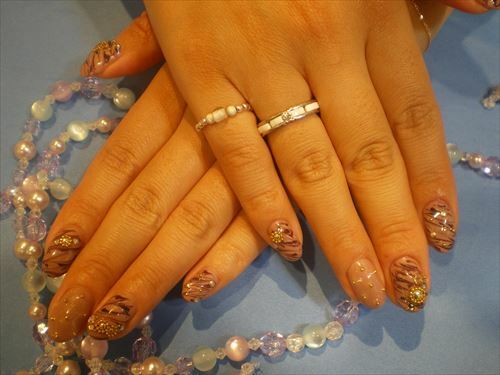 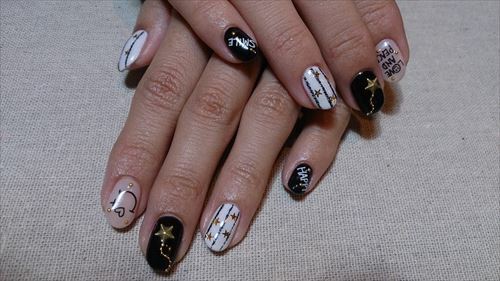 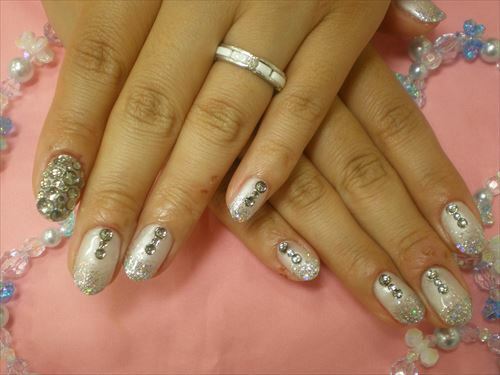 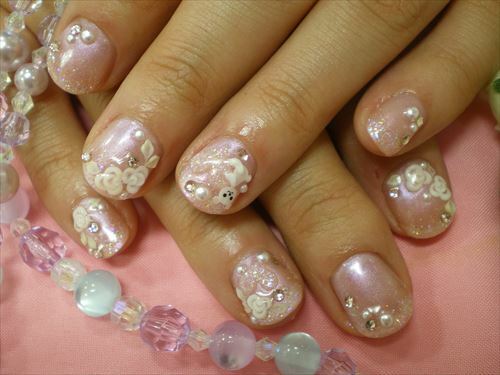 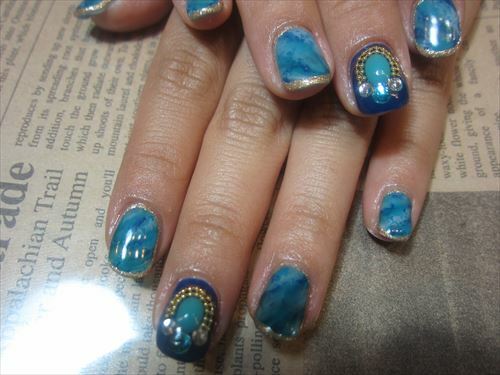 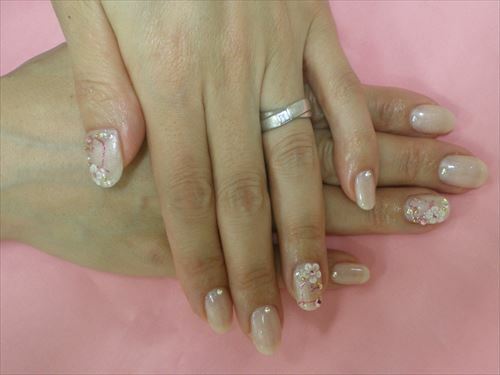 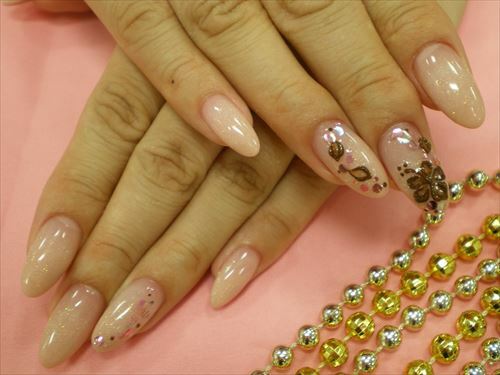 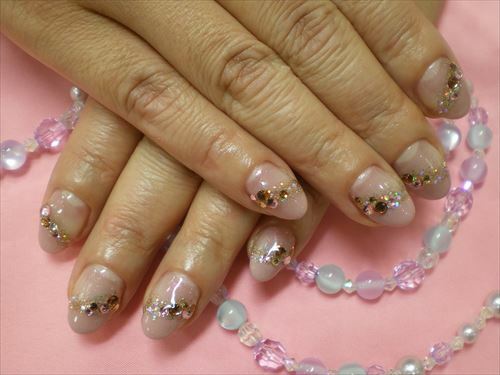 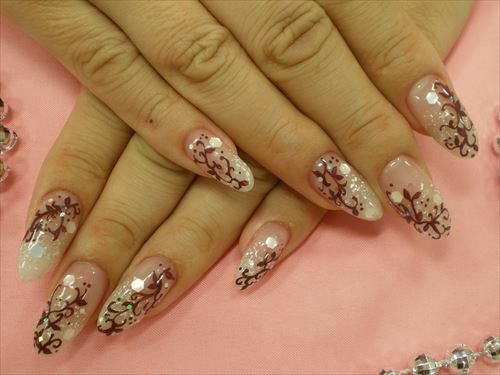 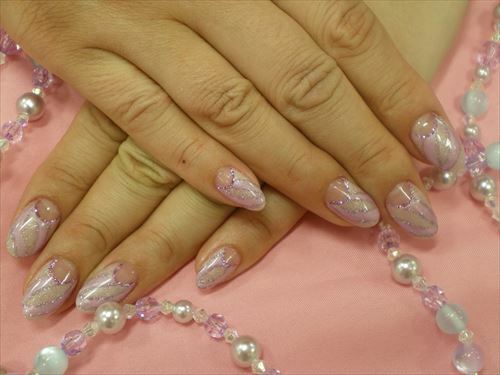 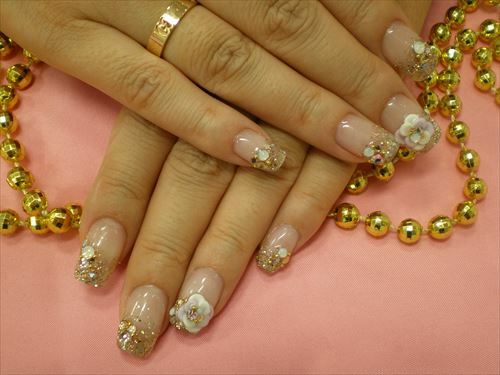 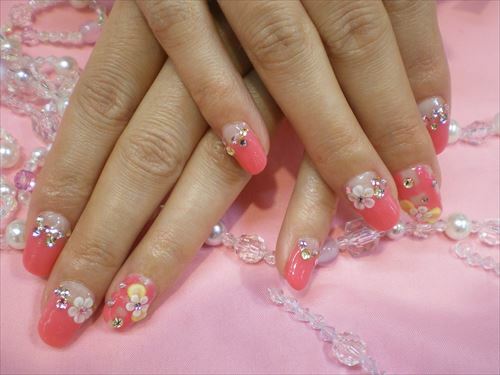 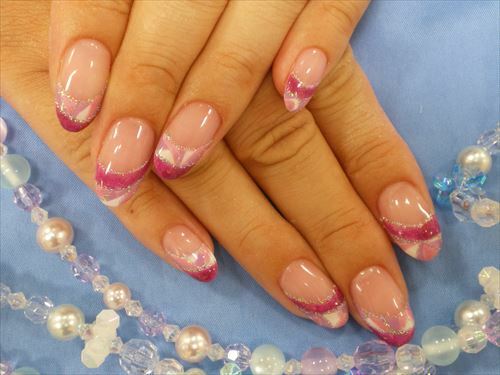 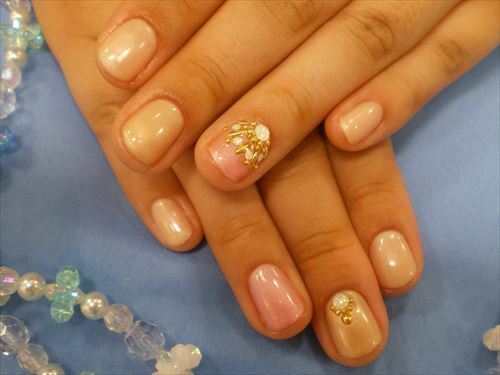 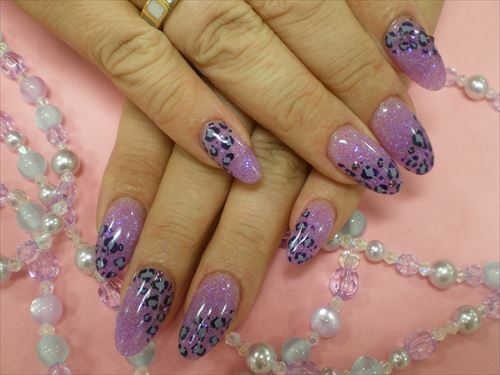 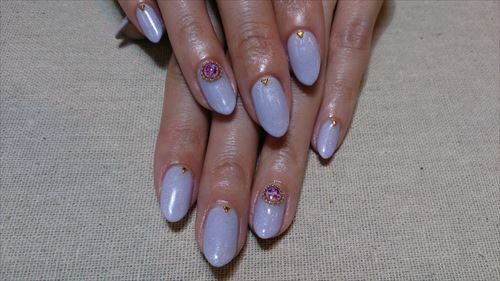 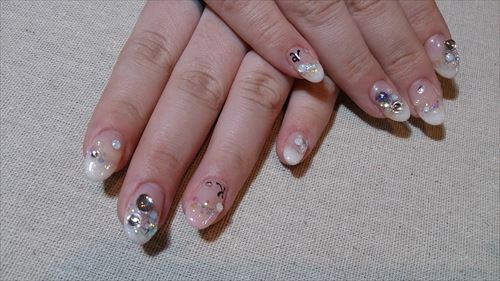 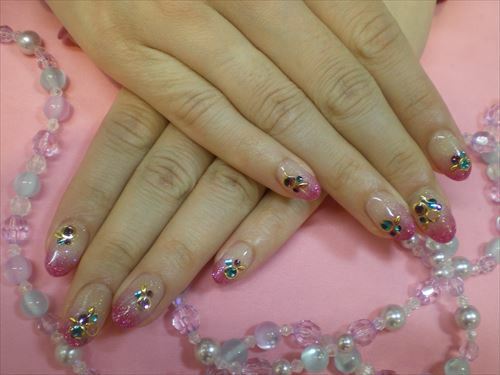 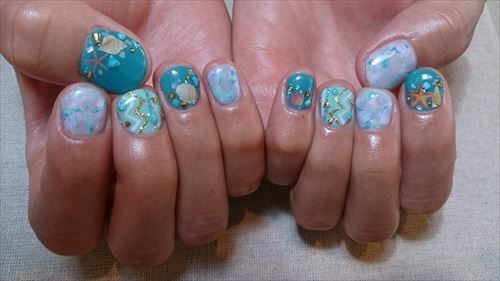 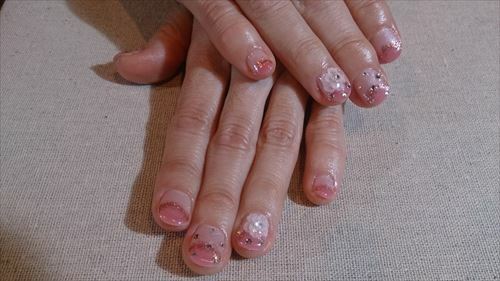 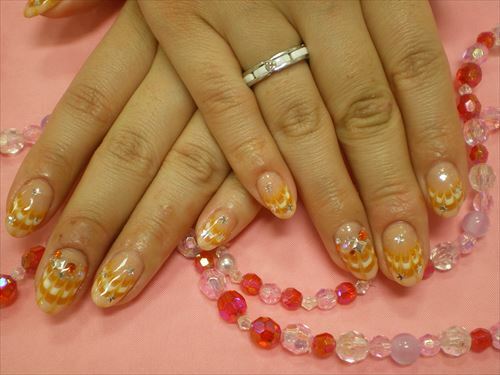 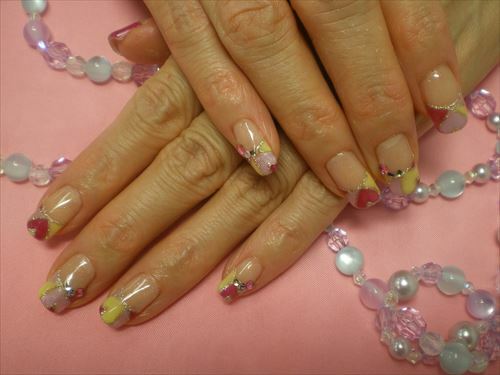 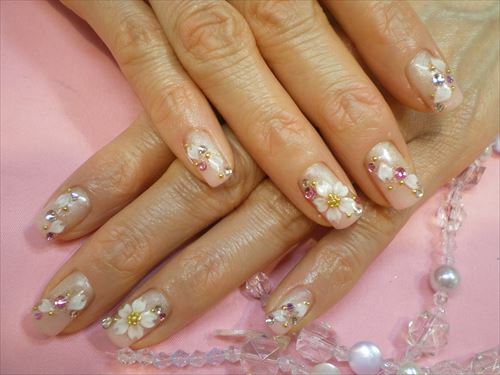 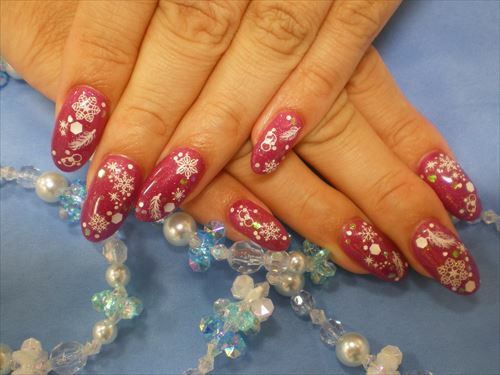 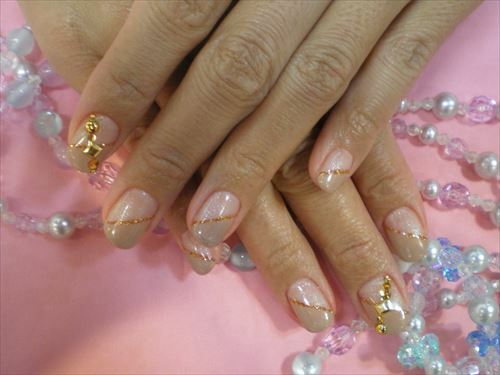 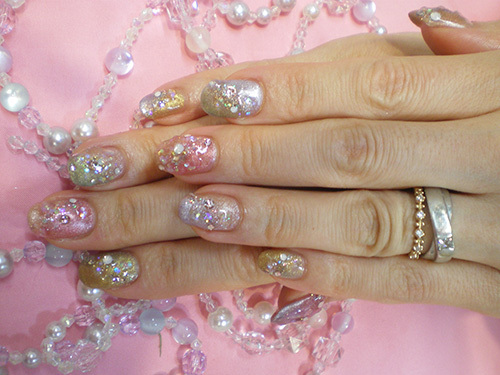 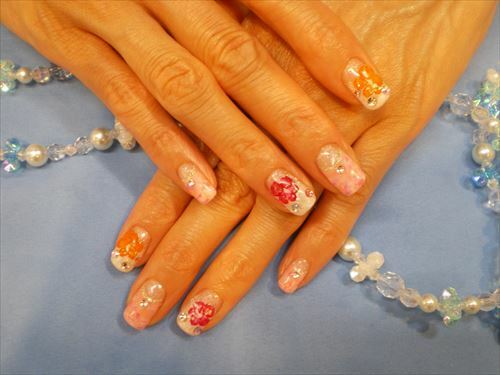 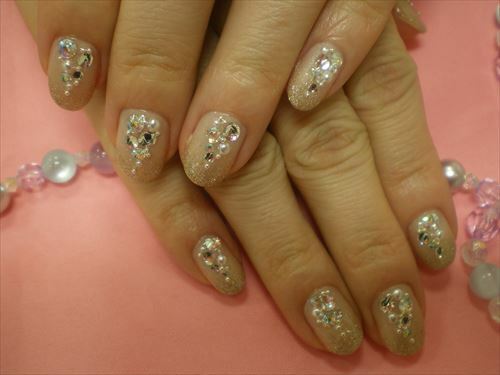 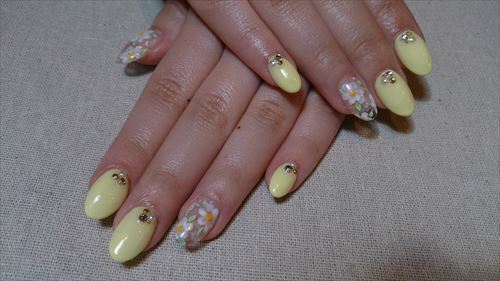 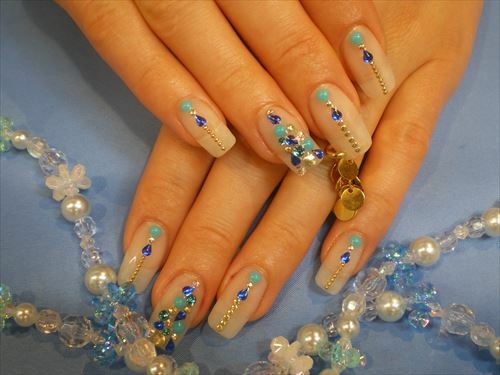 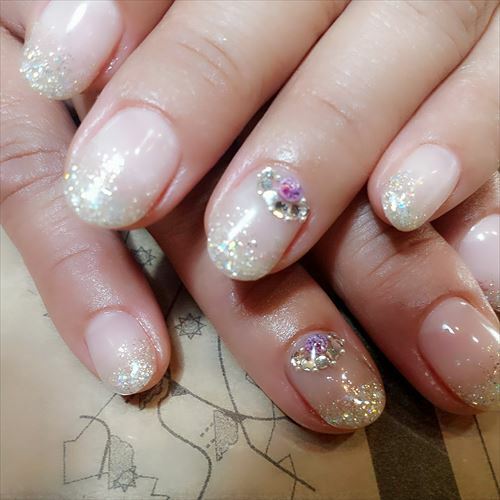 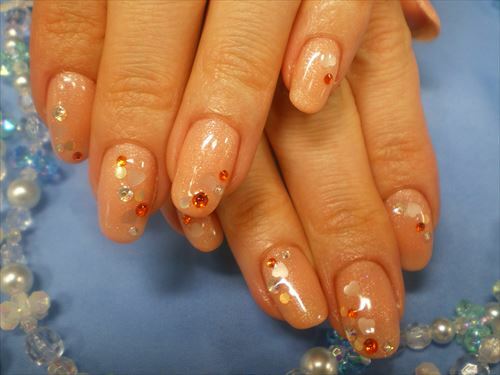 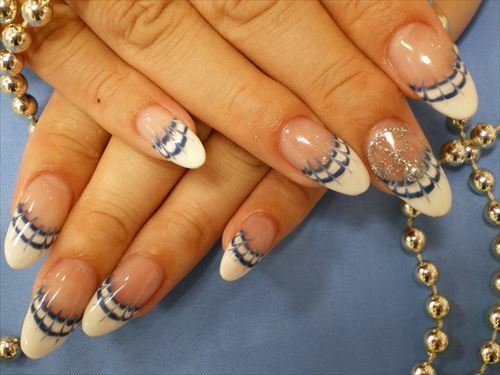 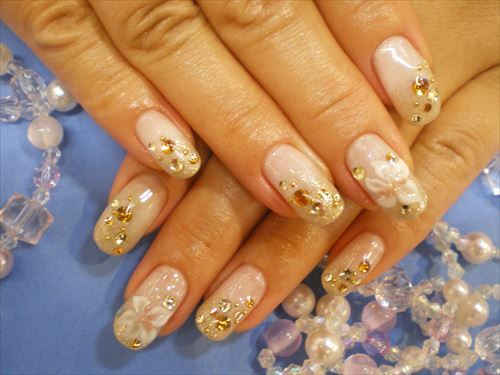 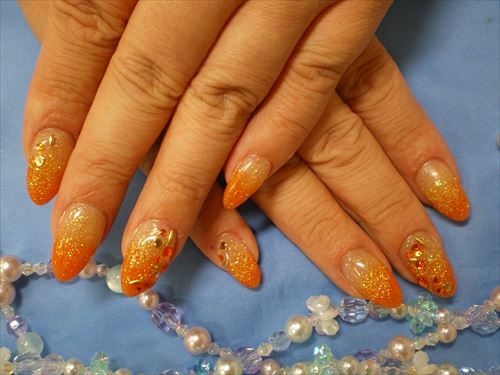 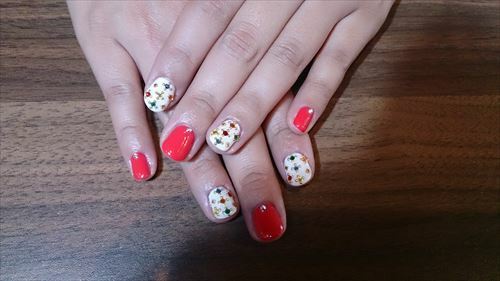 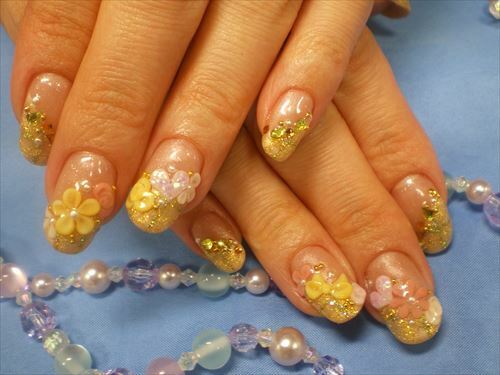 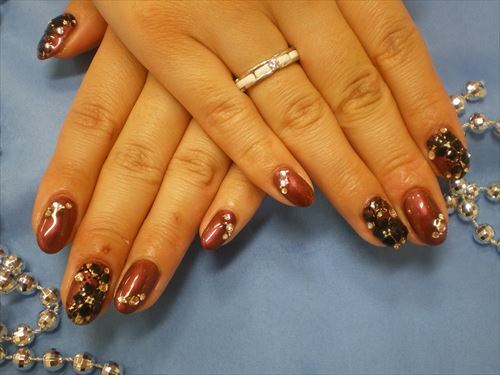 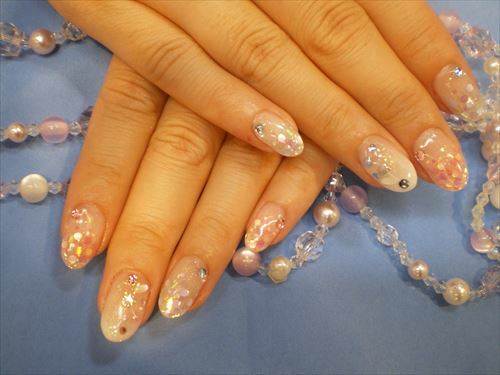 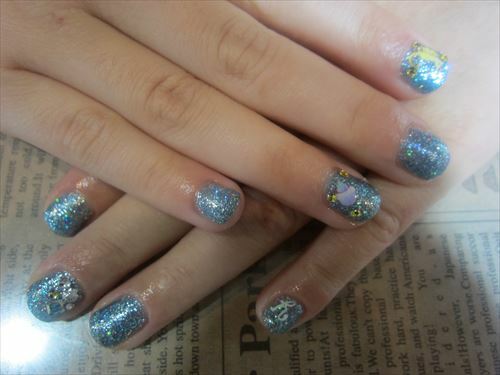 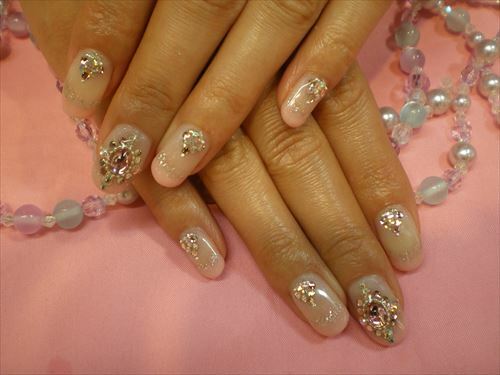 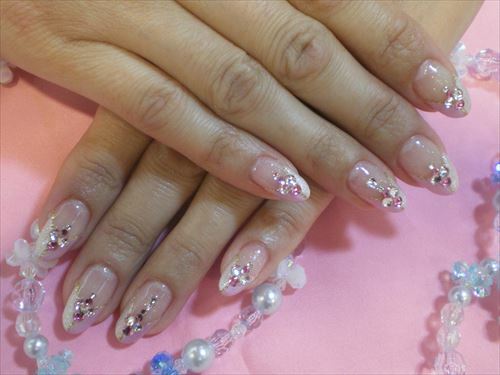 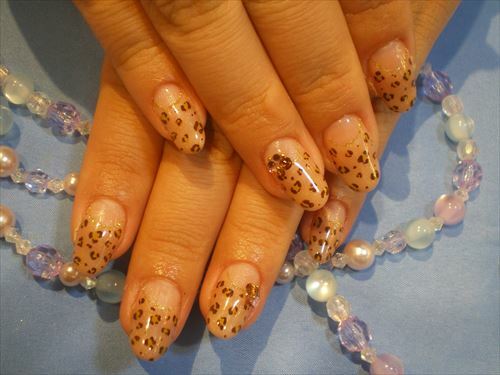 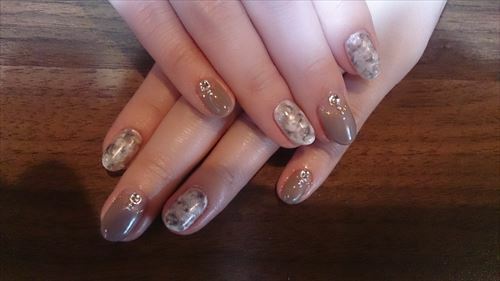 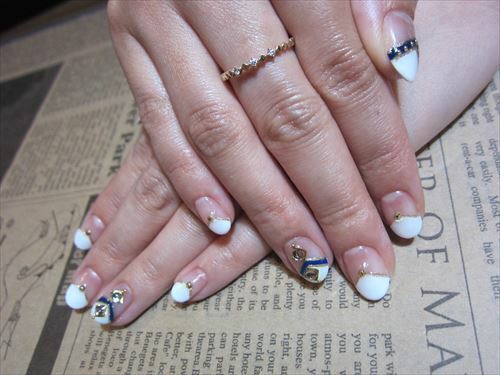 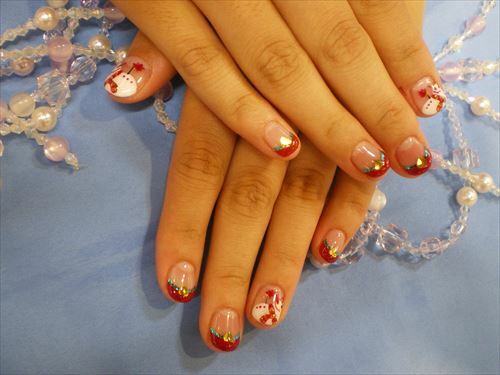 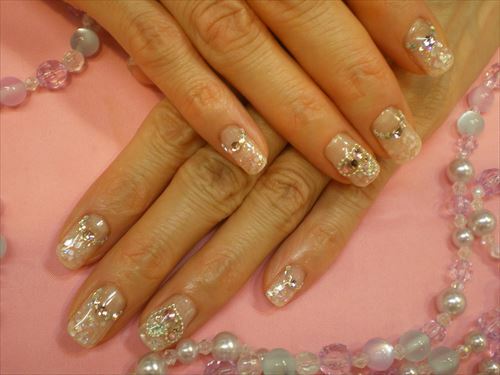 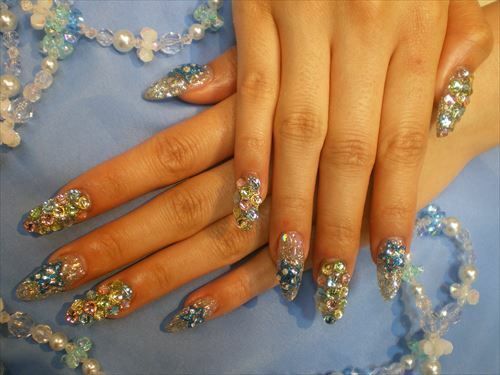 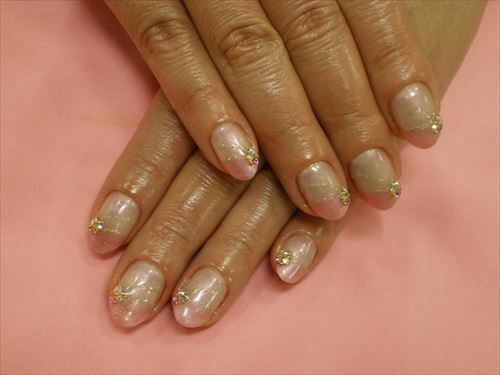 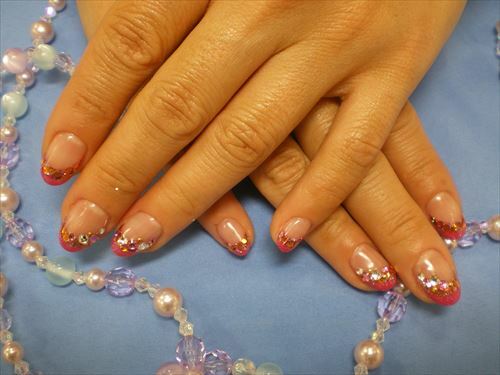 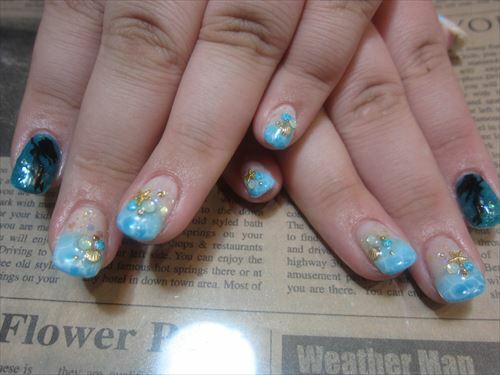 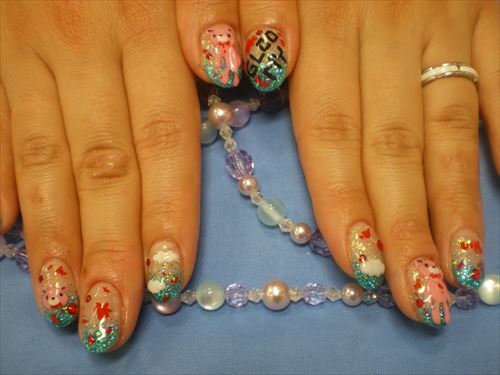 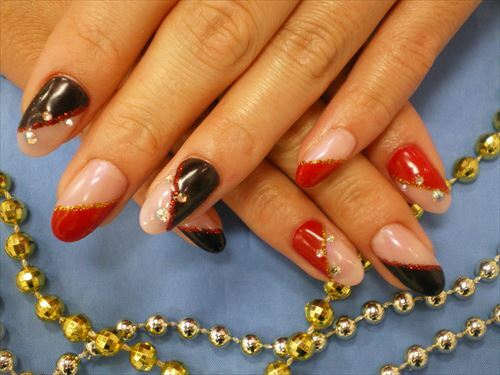 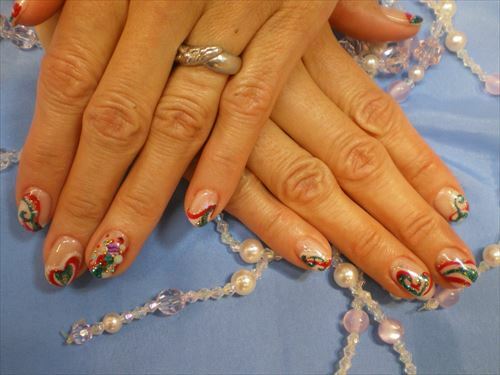 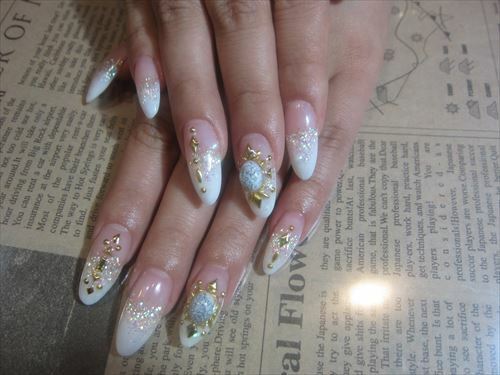 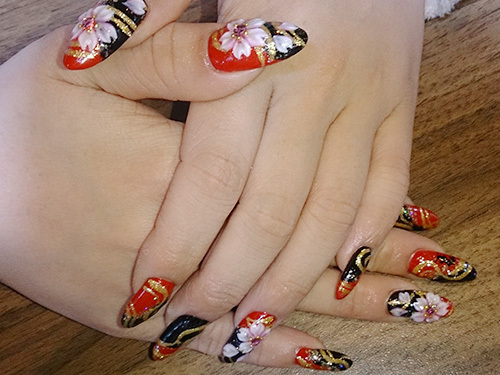 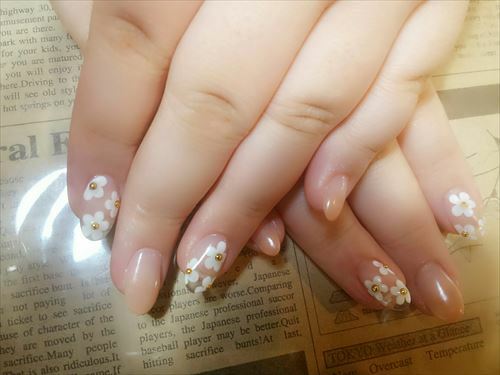 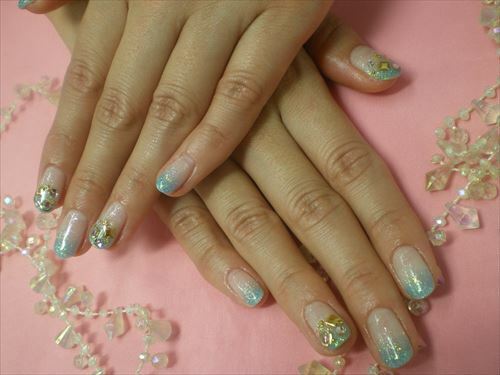 This application is suitable for customer expecting longer and strengthened nail. 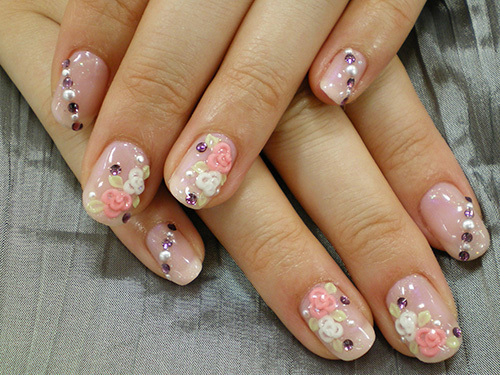 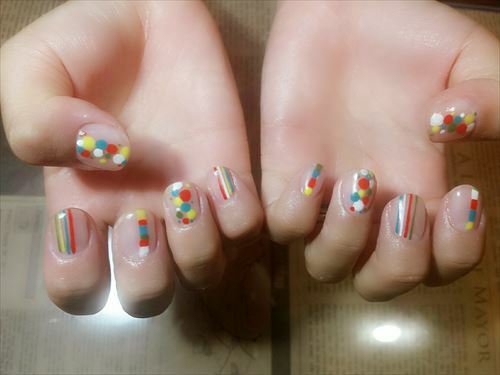 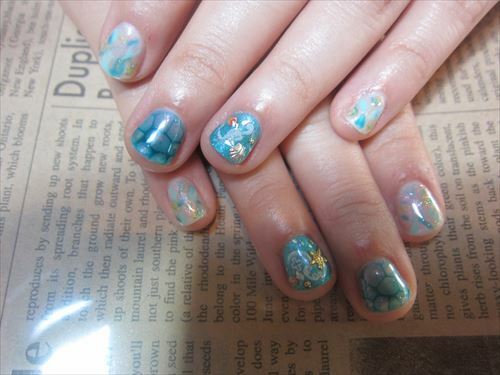 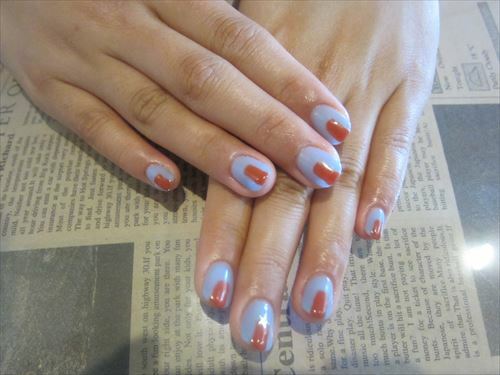 include nail polishing. 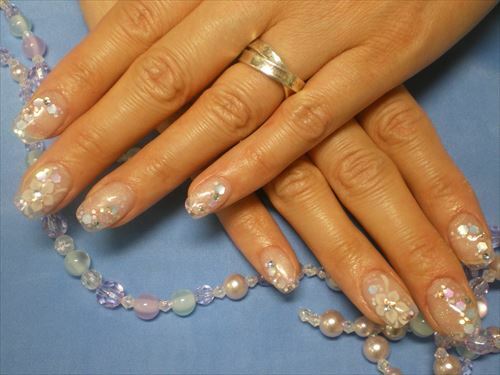 10 fingers course include massage. 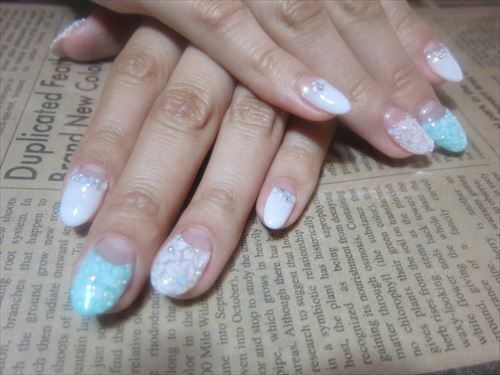 ※It may take few days to fabricate. 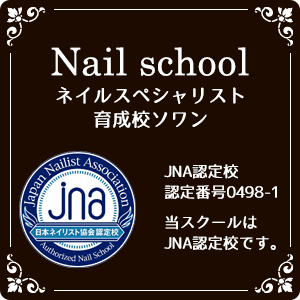 There are courses available depending on your need(if you want to be a nailist or already working as nailist). 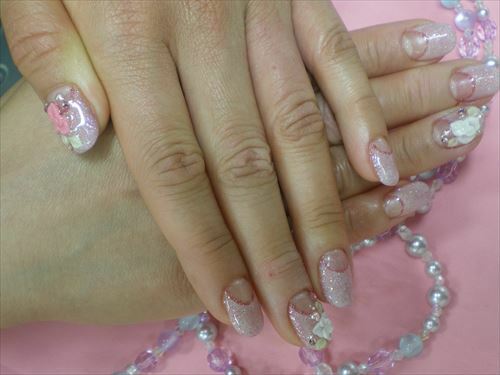 Please check our homepage for more detail.